If you and your little fashionista are tired of run-of-the-mill children's clothes, you'll both love this collection from kicokids. Fashion-forward and unique, these dresses, tops, pants and more aren't just well made they feature winning details you won't find anywhere else. Some of our favorites: Bright bows and ribbons. 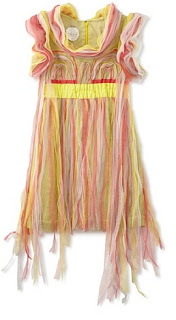 Multi-color fringe. And striking watercolor prints. About the Brand: Founded by fashion industry veterans Tia Cibani and Shu Pu, kicokids embodies the carefree spirit of childhood combining nostalgia with modern, even quirky details.